Everyday I pass by this work of art when I am going in and out of my room. This is one of my favorite prints that I have on my wall not only because it is a beautiful piece of art, but also because of the history behind it. 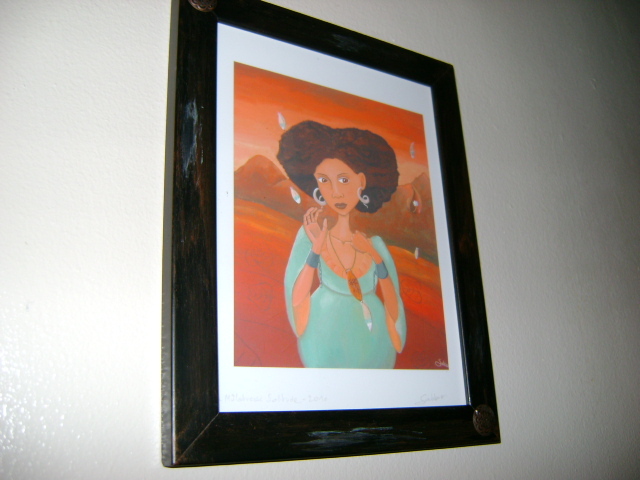 Painted by French artist, Sabbio, “La Mulatresse Solitude” is her depiction of a legendary enslaved woman from Guadeloupe named Solitude. Solitude was born in 1772, the daughter of an African woman and French sailor. In 1794, slavery was abolished in Guadeloupe and she was able to live freely until 1802, when Napoleon restored slavery in the French colonies. After that, Solitude became a maroon and joined other revolters like Louis Delgres. Solitude was known as a fierce fighter, swinging a machete at French General Richepance and his troops. She was injured in an explosion that killed Delgres and his other comrades, and was later captured. At the time she was pregnant, so she was not immediately put to death. Instead, the French decided to execute her the day after she gave birth, which was Nov. 29, 1802. No one knows what happened to her child. Solitude’s story has inspired many, including author Andre Schwarz-Bart, who wrote the book, “A Woman Named Solitude” in 1972. 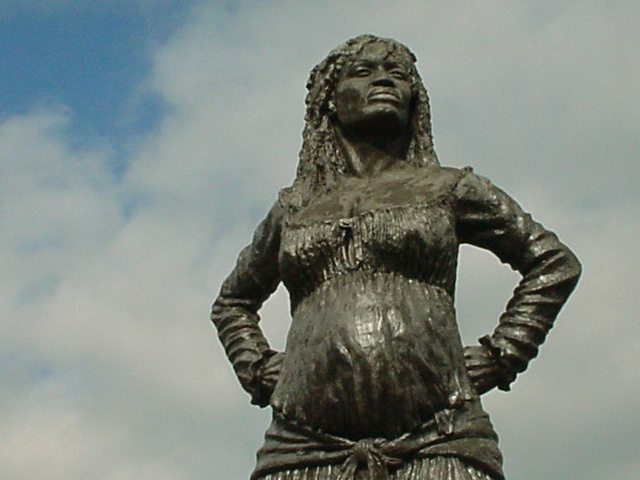 In 1999, a sculpture in remembrance of Solitude and the abolition of slavery was installed at the De La Croix roundabout intersection on the Boulevard des Heroes in Abymes, Guadeloupe.